"The IRC is an apolitical non-profit organization founded in 1933, at the request of Albert Einstein. 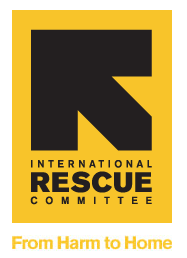 IRC helps millions that flee from war, political violence, religious and ethnic persecution, and famine. In addition to providing relief overseas, the IRC maintains offices in 22 cities in the U.S. to provide resettlement services to legally admitted refugees and advocate for the rights of refugees under U.S. and international law." "Refugees and asylees need to work in order to reestablish their lives in the United States without becoming a societal burden. Transportation in large and highly trafficked cities like Miami, however, can often be a challenge. Cars are an expensive and environmentally harmful way to get around, and many refugees and asylees have no access to public transportation. This problem leaves many refugees unable to work or dependent on others for transportation. The IRC Miami’s new Bikes for Refugees program was created to give our clients a healthy and sustainable method of transportation. By providing bicycles to refugees and asylees who are eager to work, we are giving them freedom of mobility and helping them provide for themselves and their families. We are linking environmental issues with economic and social justice by giving those in need the tools to empower themselves without adding to their carbon footprint. Most importantly, we are helping refugees and asylees become entirely self-sufficient. These people come to the United States to seek lives free of persecution, hunger, and poverty, and a simple bicycle can help make such hopes a reality. 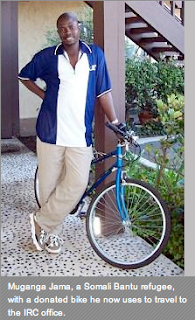 With further development, the IRC Miami’s bicycle program may serve as a model for other institutions that want to create sustainable methods of empowering communities." The IRC is encouraging both cyclists and bicycle shops—to donate bicycles and bike locks to their program. The bikes and locks may be used or have slight defects as long as they are in working condition and will provide a reliable source of transportation to their clients. Bicycles and bike locks may be brought to the IRC Miami office, or an IRC representative may be sent to pick up bicycles and locks at participating bicycle stores. Donations are tax-deductible.